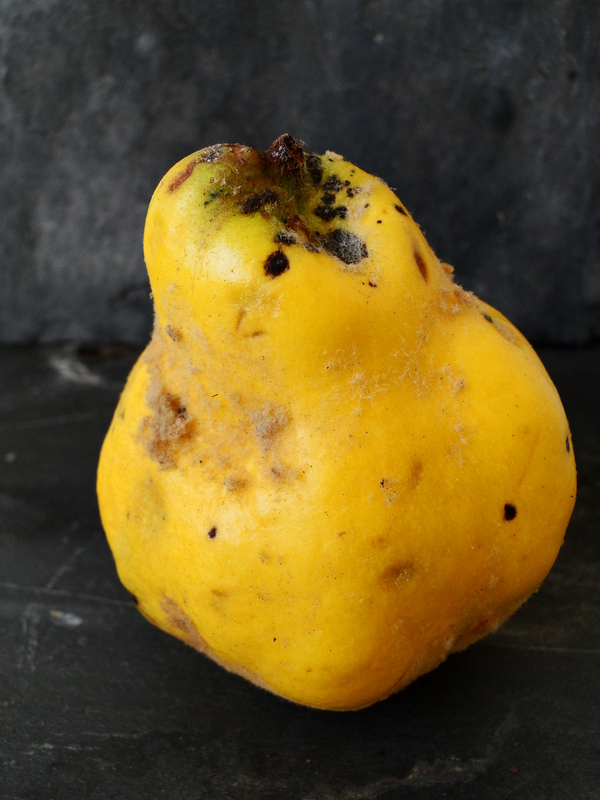 Quince (Cydonia oblonga) are an odd fruit, shaped like a knobbly pear, skin the colour of school custard with a downy covering similar to that of a baby bird. And yet, despite being easy to grow in the British climate they’re a bit of a rarity. You won’t find them in supermarkets where a myriad of exotics flown in from abroad are easy to come by. If you’re lucky to have a greengrocer nearby who really knows their stuff you might catch a glimpse of the fruit and it’s unmistakable, almost radioactive, yellow glow. I first came across this forgotten fruit a few years ago. I’m lucky to live not far from an amazing farmers’ market where twice a month a wealth of locally produced food goes on sale in the village hall. One of the suppliers is an organic fruit grower. He has introduced us to jostaberries, yellow raspberries and an impressive selection of apple varieties including ‘Pitmaston Pineapple’ which does have a pineappley flavour, and ‘Claygate Pearmain’. Then one October Saturday I spotted a tray of quince and I had to snap some up. I wasn’t sure what to do with them but I figured there would be some recipes lurking in my collection of recipe books. Quince used to be popular here in Britain. It’s ability to work as an accompaniment to meats and cheeses as well as a dessert meant they featured significantly in medieval cooking when the distinction between sweet and savoury food was much more blurred. One drawback though is they can’t be eaten raw when grown in our climate. The flesh is hard, like an unripe pear. Perhaps this explains why quince fell out of favour as our eating habits changed. Cooking softens the flesh and provides the opportunity to add something sweet to reduce the sharpness of the fruit. Quince might not provide the perfect quick snack on the run, like an apple or banana, but the need to spend a little time preparing it isn’t a negative for me. They form part of the bounty of autumn, a time when colder weather and darker nights lend themselves to slow cooked food. A bowl of strawberries wouldn’t satisfy me as it did back in summer, now I crave a crumble, and so far this is my favourite way to eat quince. It’s also rather lovely roasted in wedges with pork chops or you could add it to tagines instead of apricots, like they do in Morocco. Use it in jams and pickles. It’s even a popular flavouring for a fruity brandy in the Balkans. You can get an idea of the flavour of the fruit from the aroma they emit. Forget those artificial plug-in air fresheners, put a few quince in a bowl and they will fill your room with a beautiful citrus scent until you use them. They last well too, so leaving them in a bowl for several weeks is not a problem. As for the taste, well there’s definitely apple, a hint of orange, the astringency of lemon and a touch of the floral, but not in a parma violets, soapy way. it’s that floral note that elevates quince to a higher fruity level. Quince are native to western Asia, the area around Afghanistan, Iran and Georgia but they spread into the eastern Mediterranean too and they have been cultivated there for many centuries. The Spanish make dulce membrillo, a fruity paste known as a cheese which goes perfectly as an accompaniment to cheese of the dairy kind. They adapt surprisingly well to growing in our climate, so if you would like to guarantee a supply of the fruit the best way is to grow your own. 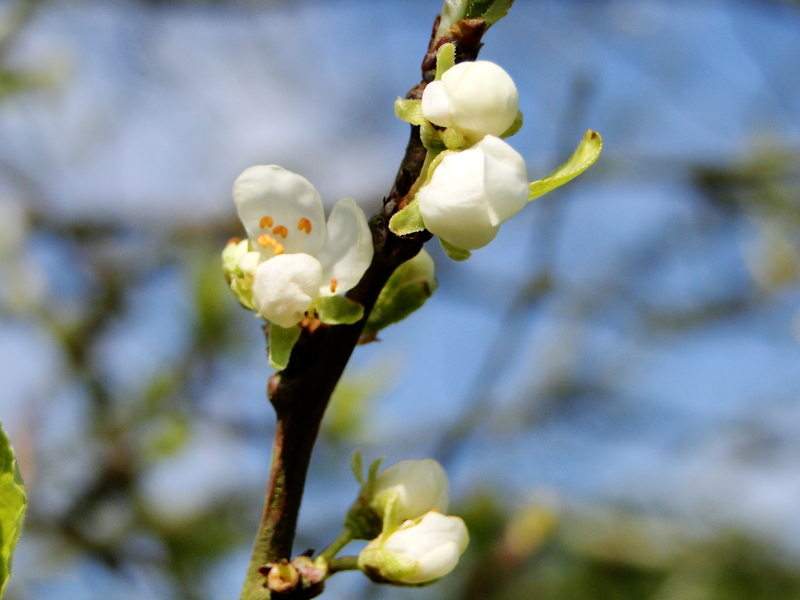 They are hardy but a warm, sheltered, sunny position is best to protect the blossom from frost and to help the fruit ripen. They are self-fertile so one tree is sufficient and will provide even the most ardent quince-lover enough fruit to get them through the winter. The RHS recommends the varieties ‘Meech’s Prolific’, ‘Vranja Nenadovic’ (AGM) and ‘Portugal’. You might also come across ‘Serbian Gold’ which used to be known as ‘Leskovac’ and is said to be the hardiest and the variety most able to cope with a wetter climate. One of the latest additions is ‘Krymsk’, an introduction from Russia which is said to ripen sufficiently on the tree to be eaten fresh. If you’re tempted then try one of the specialist fruit growers for advice on the best rootstock and which variety would suit your conditions. Otter Farm, Carrob Growers and Brogdale all sell a selection of quince. If space is tight there’s even a patio quince, ‘Sibley’s’, that can be grown in a pot. You should be able to find quince for sale right through into November so if you can track some down here’s my Spelt, Apple and Quince Crumble recipe. Ingredients – Enough for 2 but Wellyman does have a big appetite. Preheat your oven at 180C or gas mark 4. Wash the downy bloom from your quince and place whole in a pan with boiling water. Cook on a high heat for 10 minutes or until a fork goes into the flesh easily. Then remove from pan and allow to cool. Rub the spelt flour and butter together until you have a breadcrumb type texture. Stir the sugar into the crumble mixture. Cut the quince into chunks, removing the core. You can rub off the skin if you want but it isn’t necessary. Prepare your apple, cutting into small chunks and removing the core. Add the quince with chopped apple to a baking dish and sprinkle with sugar. Dessert apples are naturally much sweeter than the traditional cooker, ‘Bramley’s’, so you won’t need to use as much sugar. As the quince has a natural sharpness a sweeter apple variety works well in the recipe. Then cover with the crumble topping. Place in the oven and bake for 25-30 minutes. On the vegetable front the past few weeks have been mostly about peas and beans. Not only have I been sowing mangetout, ‘Sweet Horizon’, a maincrop pea, ‘Hurst Greenshaft’ and broad beans, ‘Masterpiece Green Longpod’ but we’ve been feasting on peas shoots for a while now. I absolutely love broad beans but it wasn’t always that way. My memory of broad beans was those dreadful grey, dry, woolly things I was fed in the eighties. *shudders* The broad beans we eat now bear no resemblance, pick them when young and double pod them and the vivid green captures early summer on the plot. It’s difficult to buy organic broad beans, and even non-organic are sooooo expensive. For me, they are a must on our plot. Until last year I had never thought it was worth growing my own peas. Frozen peas are nutritious and easy to come by. I did grow some sugar snaps though, and occasionally some of them swelled so much that we needed to discard the outer casing and eat the peas inside. Eaten straight away, and raw in salads they were so incredibly sweet and tasty. So, last year actual peas were introduced to the plot and despite the weather were a real success. Both sets of peas and the broad beans are all planted out now. Everything is crazily busy at the moment, hence my absence from blogging for a while. I’m either at the computer writing or in the greenhouse. My apologies if comments don’t go up for a while and I don’t get back to you or I don’t make it over to your blog. I still read all your comments and really appreciate you popping by. I would really love it if there were a few extra hours in each day. I did, however manage to get out for a bit of a walk on Saturday. Pentwyn Farm near Monmouth is an idyllic spot even if the cold wind had returned. It’s an area of unimproved grassland owned by Gwent Wildlife Trust. A habitat that’s quite rare now, the fields are managed to protect the wide variety of wild flowers that grow there. We tend to come up here in early summer to see the orchids. It was strange to wander around through the fields in late April and there be so little to see. If you didn’t know what was hiding away in the soil waiting to appear you’d be forgiven for wondering why Pentwyn Farm is so important. This was the first time we’d used the new nature trail the wildlife trust have created. It took us down the valley and out past a field of Hebridean sheep which are being used to manage the grassland. There was also the slightly disconcerting sight of a couple of alpacas. It’s not that unusual now to see alpacas in the British countryside, brought in to protect newborn lambs from foxes, or kept for their wool. I still find it funny to see them, a touch of the Andes in Wales. It may be May in a few days time but the landscape feels like it is only very reluctantly emerging into spring. Trees are coming to life but it was hard to imagine the fields in a month or so’s time, covered in orchids, eyebright, and yellow rattle. Then, just as we were leaving, we came across a field of cowslips. It’s been a great year for primroses, the cooler conditions meaning their flowering season has been long but we hadn’t come across any cowslips until yesterday. 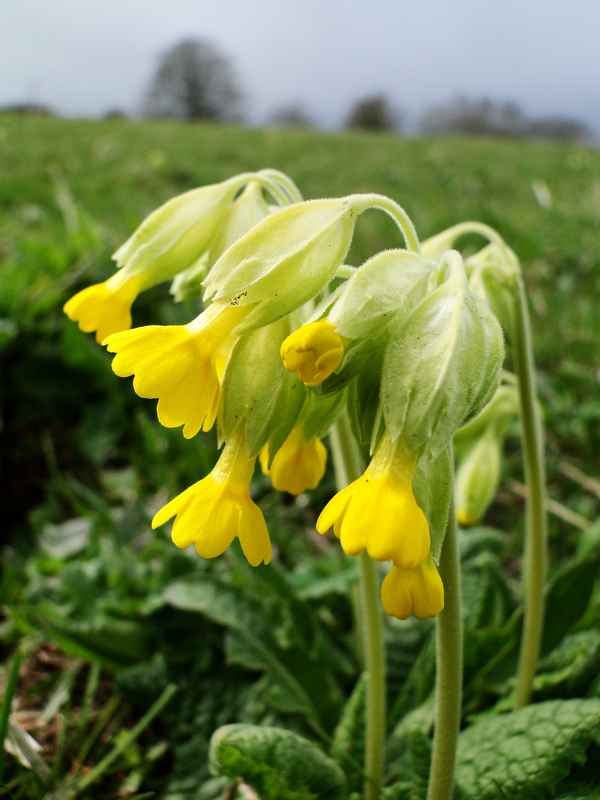 Unlike its cousin the primrose, cowslips need more sunshine and an open site in order to thrive. 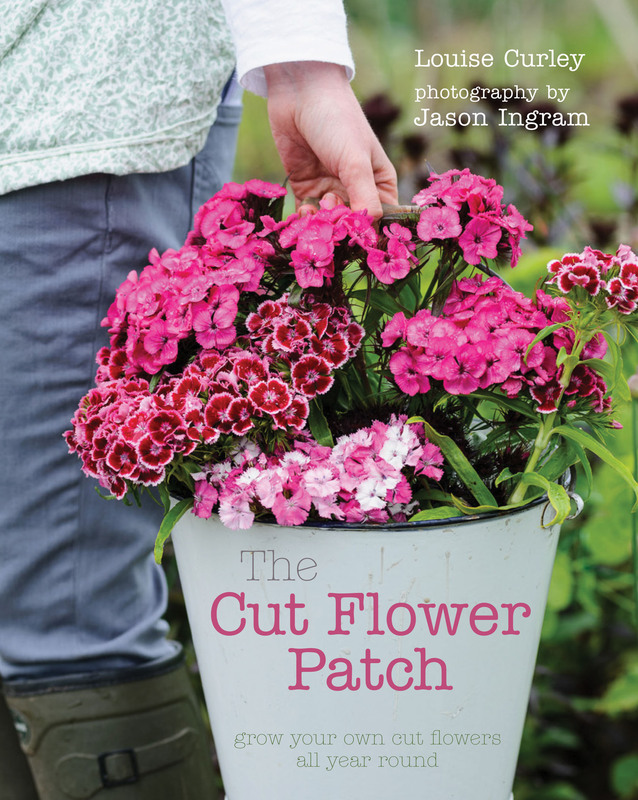 Once an abundant plant it played a significant role in the celebration of spring’s arrival but intensive agriculture and spraying of herbicides lead to a dramatic decline in their numbers, along with so many of our wild flowers. My own garden is teeming with primroses but I have only one cowslip plant which my mum gave me last year. The first thing I did when we got back from the walk was to go and see if it was flowering yet. And there they were, a couple of stems with delicate yellow trumpet-like flowers. 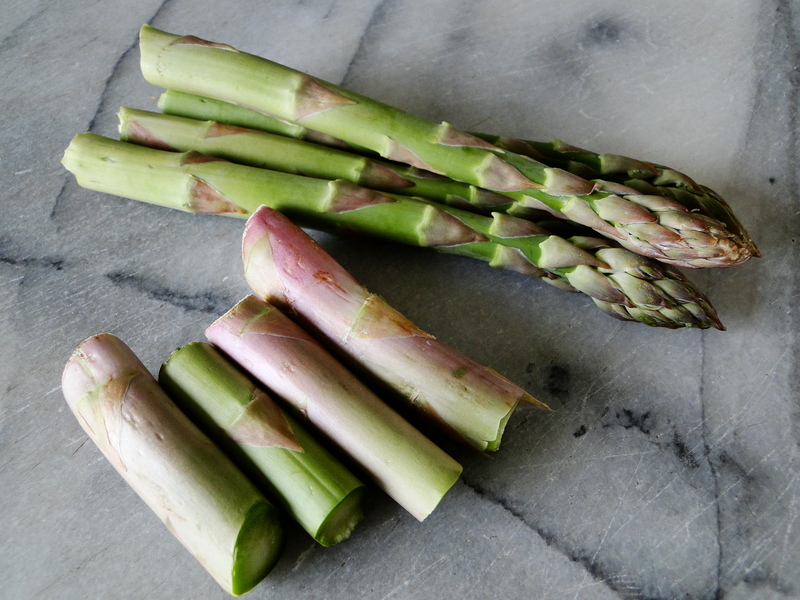 To complete the spring theme we came across the first bundle of asparagus spears in a local deli. I was surprised to see them to be honest. I had thought the cold spring would have delayed the harvest but it appears not. It was impossible to resist them even if the price tag was a little steep. The season is so short that they are such a treat to have over the coming weeks. Herefordshire and Worcestershire are proud of their asparagus growing, there’s a festival to celebrate the green spears with food, music and even inflatable asparagus. When it comes to cooking asparagus I prefer simplicity. I do occasionally put it in quiches or frittatas, but steamed with a few shavings of parmesan or with goats cheese and parma ham are my favourites. When it comes to snapping off the woodier base of a spear, my asparagus tip (sorry, dreadful pun, I know) is don’t throw the ends away. If you make your own vegetable stock they make a great addition giving it a lovely sweet flavour. I put the ends in a freezer bag, collecting them over the course of the asparagus season and keep them in the freezer. When you’re making your stock just get a few out and put in the simmering water along with your other veg. Last week’s taste of summer, albeit late, was a delight. At the allotment the light on a morning and in late afternoon was beautiful. I’m not sure why the light in September is so lovely, maybe it’s the angle and the tone, there is none of the harshness of sunlight in high summer but crucially there is a warmth that isn’t there in spring. 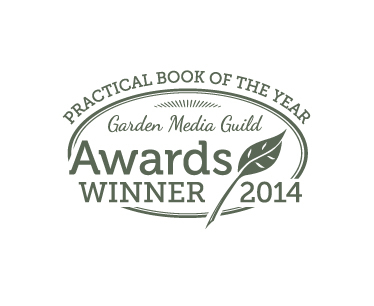 Shafts of light falling on the dahlias and rudbeckias and heavy dew glistening on the feathery foliage of the fennel meant the plot sparkled. September is one of my favourite months, even though the prospect of winter just being around the corner doesn’t thrill me. There is something about the shortening days that makes me want to prepare the house for winter. To squirrel away fruit from the plot in the freezer, to dig out recipes for warming stews and to think about ordering our wood for the log burner. Food might have something to do with me loving this time of year so much. The month of harvest, even in a year where the weather has impacted so much on food production, September is the time to celebrate the best of our crops. Unlike last autumn, where the hedgerows were laden with hips and haws, this year is looking a little bleak, certainly in my neck of the woods. We fancied making some damson gin for the first time but hadn’t been able to find any on our walks around the village. However, on Friday we spent the day in Bristol and were sat opposite a great greengrocers in Clifton, enjoying a spot of café culture when we spotted a large tray of dark, juicy damsons. Buying isn’t quite the same as foraging but needs must. 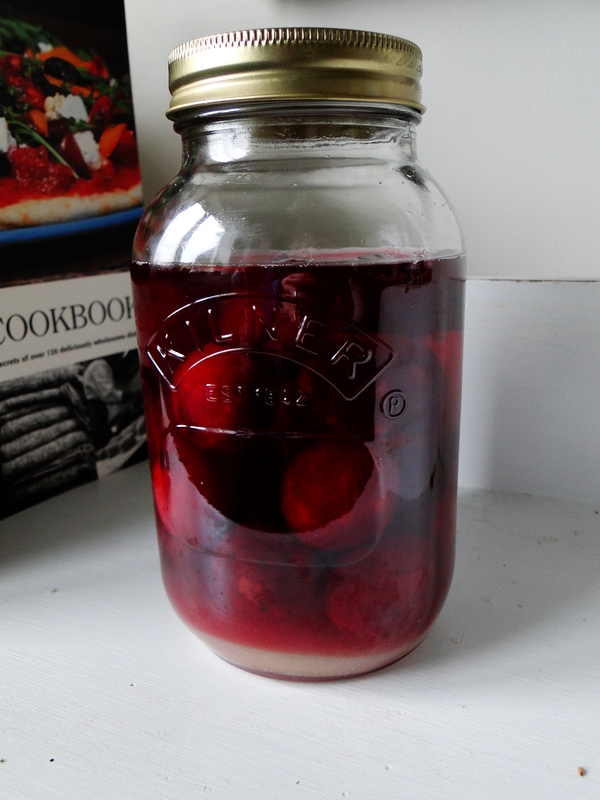 So on Sunday we filled a jar with damsons that I had pricked all over, a fair amount of sugar went in and then I filled it up with gin. Sealed and stored in the larder I need to give it an occasional gentle shake and then after several months I can decant the liquor into bottles. For someone who doesn’t really drink it might seem like a strange thing to have done but there seemed something quite special about trying it at least. The colour of the liquid inside the jar, if nothing else, will remind me on a cold January evening of the warmth of a September day. 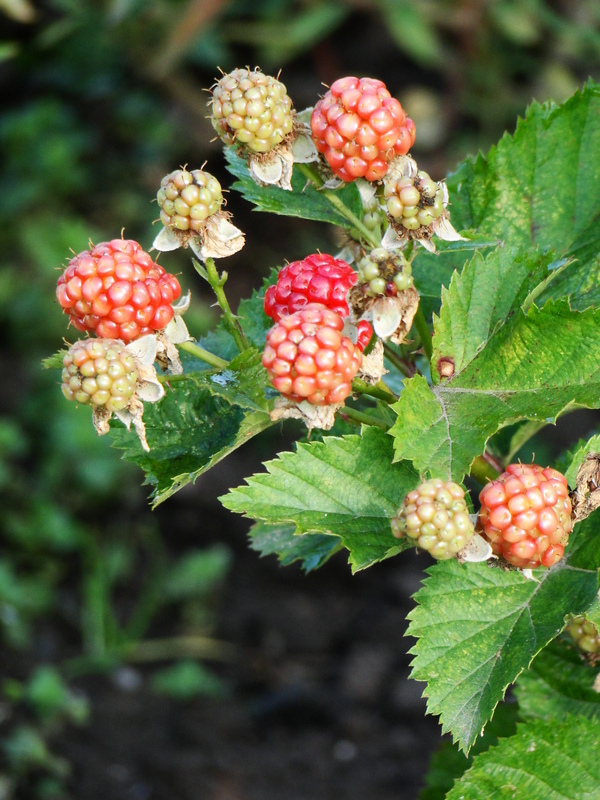 My autumn fruiting raspberries are producing a great crop. I have a mix of ‘Polka’ and ‘Autumn Bliss’ with the former having far superior berries and I’m picking enough to fill freezer bags full, for treats later in the year. Crumbles are a favourite dessert of mine and a versatile way of using autumnal fruit but even I can get sick of crumble. So I’ve started making the healthier option of compotes and purées. My favourite at the moment consists of cooked apple and plums with blackberries. I use eating apples and therefore don’t need to add any sugar to sweeten it. 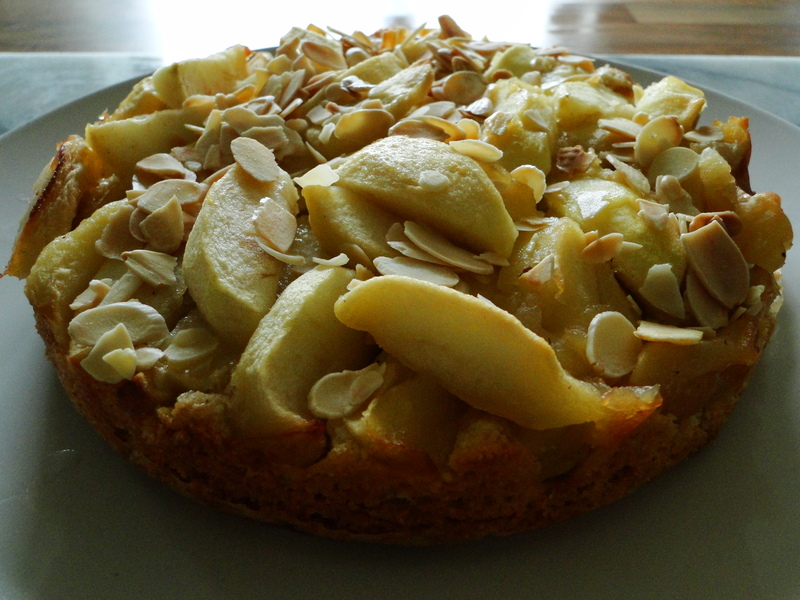 Apparently, in France there is no distinction between eating and cooking apples and it is perfectly acceptable to use what we would consider dessert apples such as Cox’s, in tarts and pies. I blitz my fruity concoction so it is very smooth and it’s yummy with porridge, yoghurt and ice cream. To make a compote, just keep the fruit quite chunky and add a little apple juice and cook over a medium heat until the fruit has softened. The pectin in the fruit should make for a slightly syrupy sauce and the colour will be amazing. I’ve even found a great use for my nasturtium flowers. They have added a real splash of colour to salads but I tried them in a breadcrumb topping a few weeks ago and it was a real success. Simply chop a good handful of flowers and add to some breadcrumbs, some grated parmesan and chopped sun-dried tomatoes, stir and then add a little rapeseed/olive oil, put in an ovenproof dish and cook until golden, in a medium oven. This topping is perfect with some grilled white fish and the nasturtium flowers add a real peppery flavour. With the inaugural first harvest of celeriac, fennel and the prized No. 1 squash it looks like a tasty autumn ahead. It’s July, no really it is. I know it feels more like autumn, doesn’t it? We’ve just had the wettest June on record and apart from 2 weeks at the end of May it has rained pretty consistently since the start of April. We had so much rain on Thursday morning from thunderstorms that our shed flooded. It wouldn’t have been that much of a problem, except I’d put a few cardboard boxes of seaweed meal fertiliser on the floor and when I discovered the sodden floor and went to salvage them the bottoms fell out of the boxes showering fertiliser everywhere. I managed to scoop it up but my shed now stinks with a fairly strong whiff of seashore. Normally a smell I love, as I can imagine I’m in Cornwall by the sea, in the confined space of my shed it doesn’t conjure up such pleasant memories; it’s more stagnant rock pool. Mmmm lovely. And it just continues to rain so I can’t leave the door open to dry out the floor or try to shift the smell. Still I realise it is a tiny problem in comparison to all those people who’ve had their homes flooded in what seems like a regular feature of our summers now. In an attempt to cheer myself up I’ve been using the produce from the allotment to make some tasty food in the vain hope I can transport us, with food, to something that feels vaguely like summer. The first meal was what I call ‘plot minestrone’ and is a great dish for this time of year when there is so much fresh, young produce about. I simply sweat some onions down in oil, on a low heat, until they are soft and then add some tinned tomatoes and 250 ml of vegetable stock. This is your base, you can then add whatever you’ve got to pick from your vegetable patch. 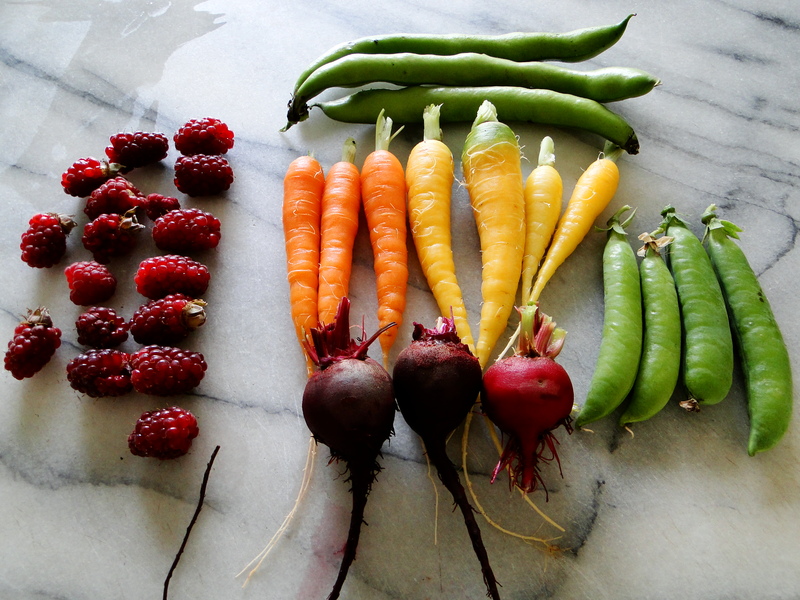 I used some baby carrots, peas, broad beans, beetroot and some shop bought courgette. Kale and spinach are also lovely additions. Chop the vegetables small and then chuck into the pan and bring up to the boil. A good sprinkle of paprika, some black pepper and a pinch of salt and then simmer until the vegetables are cooked but still have some bite, about 30 40 minutes. Ten minutes before it should be ready, cook some pasta separately and when cooked, drain and add to the tomato and vegetable pan. Serve with plenty of parmesan. On Monday we had my take on the Greek dish Spanokopitta. We had some for lunch when we visited Sarah Raven’s Cutting Garden and it was gorgeous. I couldn’t find a recipe for it but I’ve had it before so was vaguely familiar with the ingredients and just decided to give it a go. 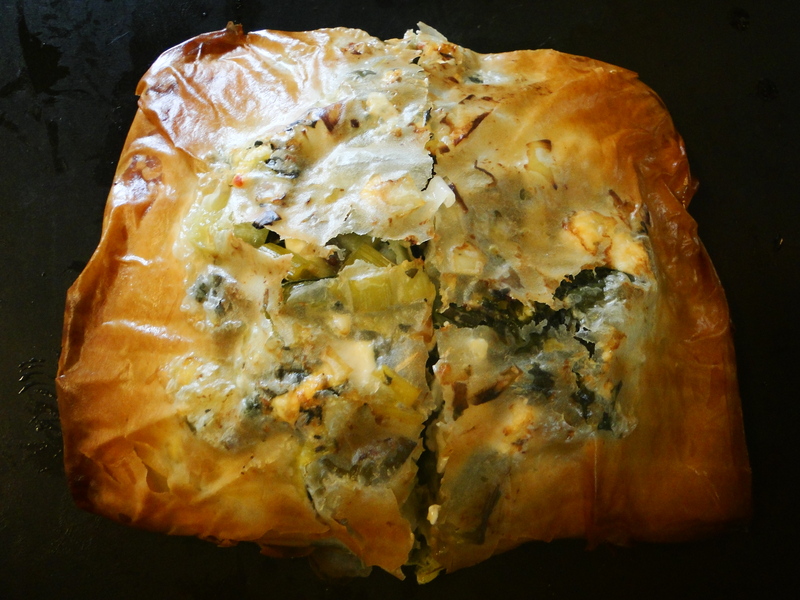 A pie made from filo pastry, it’s much lighter than our own pastry pies. In Greek, it means ‘spinach pie’ but it works well with other greens. It’s a little fiddly to make but tastes gorgeous. 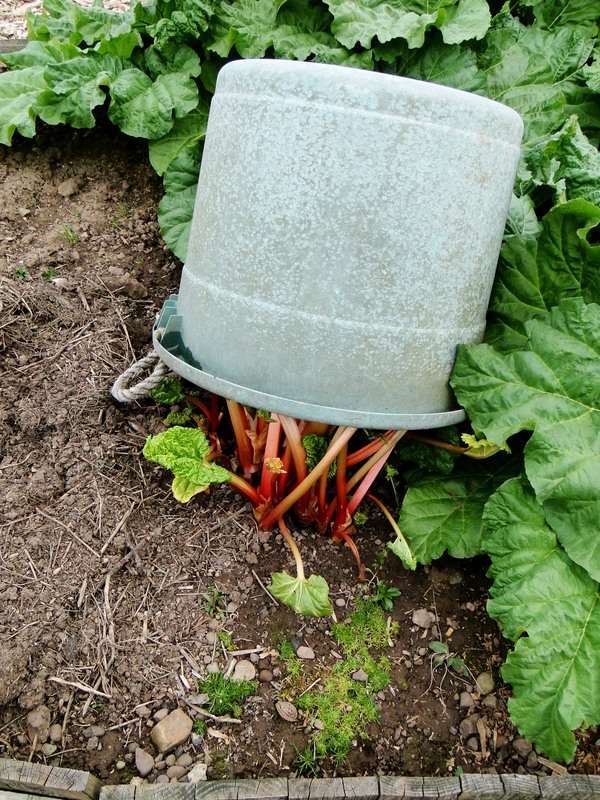 A variety of leafy greens such as chard, spinach, russian red kale. Wash and slice the leek into thin rounds and then sweat gently in oil in a frying pan. The leek wants to be soft and not browned. This should take 10 minutes. Whilst the leek is cooking, steam the greenery. I used baby chard leaves and Russian red kale, a good handful of each. Spinach works well too. You want the leaves to wilt in the steam and this should only take a minute or so. When they’re soft and reduced down remove from the steam and run under a cold tap to cool them down and then using some paper towels squeeze out the water and place in a bowl. Into the bowl add the cooked leek and the feta cheese, broken up into small cubes. I like to use a feta that already has a little bit of chilli, lemon and herbs added to it that I get from Waitrose. 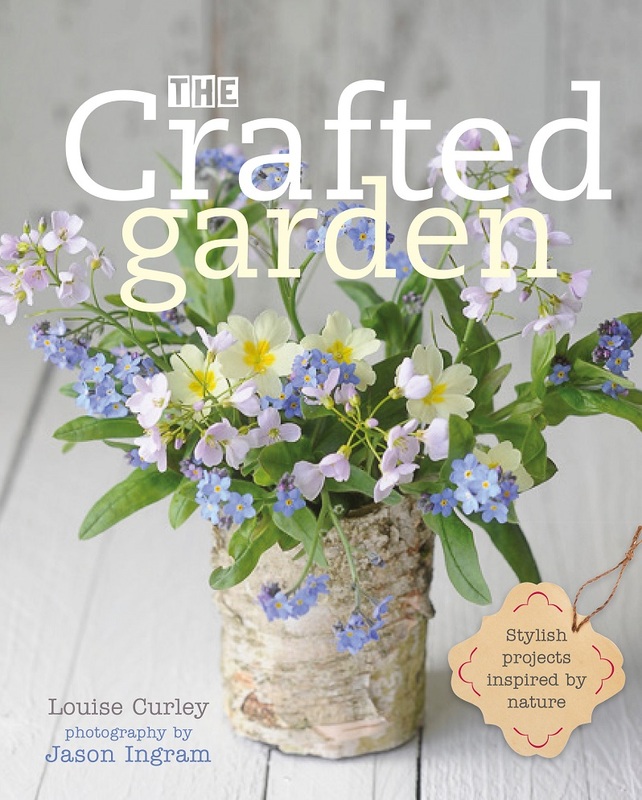 If you can’t get hold of something similar you could add some dried mixed herbs such as oregano and thyme to the mix. A good amount of black pepper and then mix it all toether. Now assembling the pie, take a sheet of filo and fold it in two, brush with melted butter or olive oil and then place some of the leek and feta mixture in the centre. Take another sheet of filo and fold this in half and place on top, again brush with the butter or oil and add some more filling. repeat once more and then taking another sheet of filo, place it over the top of the filling and tuck under the pie. Brush the whole pie in butter/oil and then bake in the oven at 180C for 20-25 minutes until golden. The great thing about filo is its versatility. Rather than stacking the mixture like this you can make individual little parcels, folded into triangles which are great for buffets and picnics. It’s up to you really. 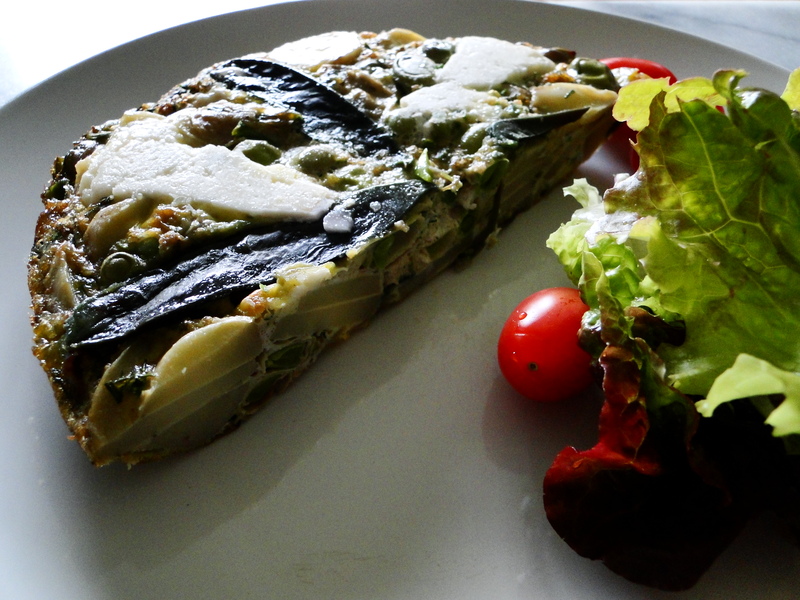 And then, for lunch yesterday, we had a frittata using the first Charlotte potatoes of the year. I love making frittatas because you can use so many different fillings. The basic are eggs and potatoes and to this one I added broad beans, peas, dill, chives and a few purple mangetout from the plot and a little bit of a hard goats cheese like Swaledale. You’ll need a frying pan with a metal handle so you can put it into the oven or under the grill. Start by cooking your potatoes. Once they’re done put them to one side to cool. In your frying pan put a generous glug of oil and sweat off some sliced onions. These want to cook gently to soften but not colour and should take 10 – 15 minutes. In a jug add 4 eggs and beat lightly, add some ground black pepper, and whatever filling you want to put in. 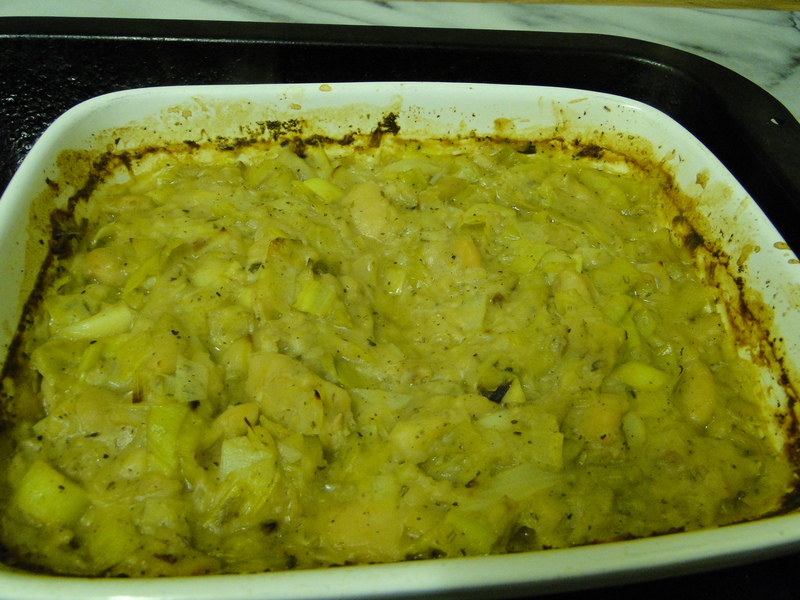 I added some chopped dill and chives, some baby broad beans and peas and the cooled potatoes that had been sliced. Mix everything together and once the onions are lovely and soft add the egg mixture to the frying pan. You can add cheese to the egg mixture or place the cheese on top. Cook the frittata on a low heat for 5 minutes or so and then place in the oven at 180C. This should take 15 minutes, if the middle doesn’t look like it has set just give it a few minutes under the grill. Frittatas are particular good cold and I like to make it as an alternative to sandwiches for Wellyman’s lunch. It’s great to experiment with different flavours. My tip is not to use anything that is wet though, such as tomatoes, as they egg won’t set. 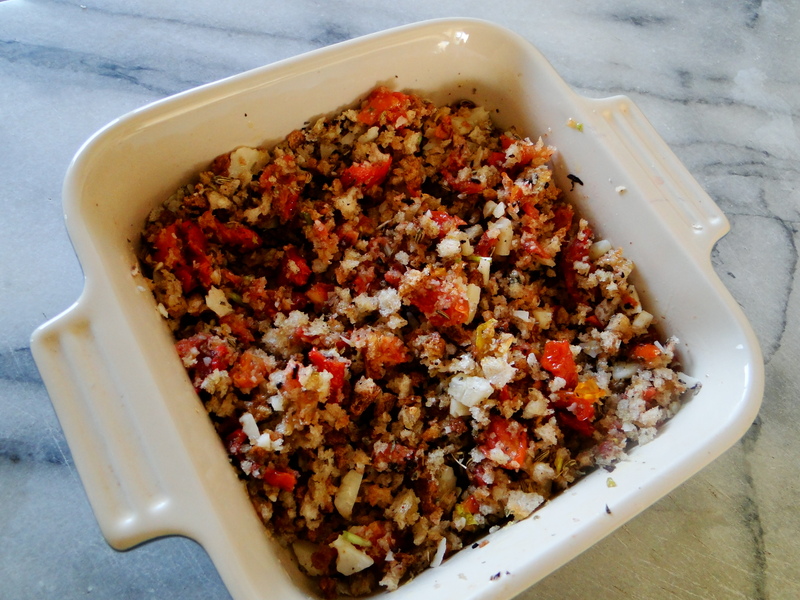 Use sundried tomatoes instead which work very well with roasted red peppers. It might be grey, dull and wet outside and I got soaked and covered in mud harvesting the spuds but I’m trying, at least, to transport us to the Mediterranean via food. I’m not sure it worked but at least the food tasted good. I’d love to hear about your foodie ideas for using produce at this time of year. The weather here is pretty miserable. High winds and torrential rain. It was fine this morning so I put some washing on the line and then went out. By the time I got back 2 hours later it was blowing a gale and raining. My washing was strewn across the garden and needed to go back into the washing machine. I got soaked bringing in some logs from the wood store and sorting out the recycling was interesting as a gust of wind lifted most of it out of the trug on its journey to the shed. So I was running around my garden chasing bits of paper and plastic before they were carried away on the wind. I know the weather is bad in many parts of the country today so I thought I’d post one of my favourite recipes at the moment. A warming stew is just what is needed on days like this. Moroccan tagines really are just like our own stews but use an interesting mix of spices. I came across this recipe on last years Great British Food Revival on the BBC. The chef Matt Tebbutt was championing mutton and used it in this recipe. We’ve found it really versatile, cooking it with the suggested mutton and also lamb and chicken. It is so easy to make and really tasty. The preserved lemons might sound a bit strange but they add an amazing flavour to the dish. Chop the onion and gently fry in the bottom of a casserole dish until they are soft and translucent. We use a Le Creuset which can go directly on the hob but if you haven’t got a casserole dish that can go on the hob just do this bit in a frying pan and then add to the other ingredients in your casserole dish. 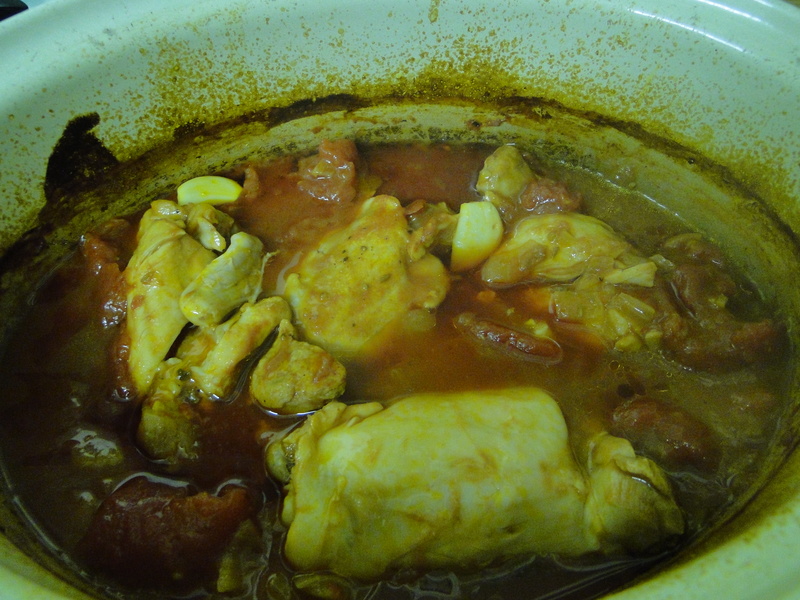 You don’t need a special tagine pot, a casserole dish does the same job. Crush the coriander and cumin seeds and then add to the onion, along with the tinned tomatoes, the cinnamon stick and star anise. Remove the papery skins from the garlic and place whole in with the onion and tomato. Wash the preserved lemon. Slice into quarters and remove the flesh. Then chop the rind up finely and add this to the casserole dish. Finally add the chicken stock and chicken thighs. Give everything a stir and then put on the lid and place in a preheated oven at 180 degrees C. It should be ready in 1 and 1/2 hours. You can see the mutton recipe at BBC Food. In our recipe we omit the saffron (too expensive) and the chillies (we don’t like them) so feel free to tailor the recipe to your own taste. You’ll need to fish out the star anise and cinnamon stick before serving. If using lamb (we use shanks) you can scoop the sauce into a jug and then skim off the fat. You shouldn’t need to do this with the chicken. We love to serve this with couscous and roasted Mediterranean vegetables. Not sure what to do with your leeks this winter, why not give this a try? This is such a yummy recipe I wanted to share it with you. It is slightly adapted from a Jamie Oliver recipe from his ‘Jamie Does’ book. His version takes longer to cook and he cooks it at the same time as a leg of lamb in a roasting tin but it is possible to cook it separately and more quickly. Thyme fresh or dried (I like to use a mixed Italian seasoning). Sweat the leeks slowly in a frying pan until they are lovely and soft but not coloured. 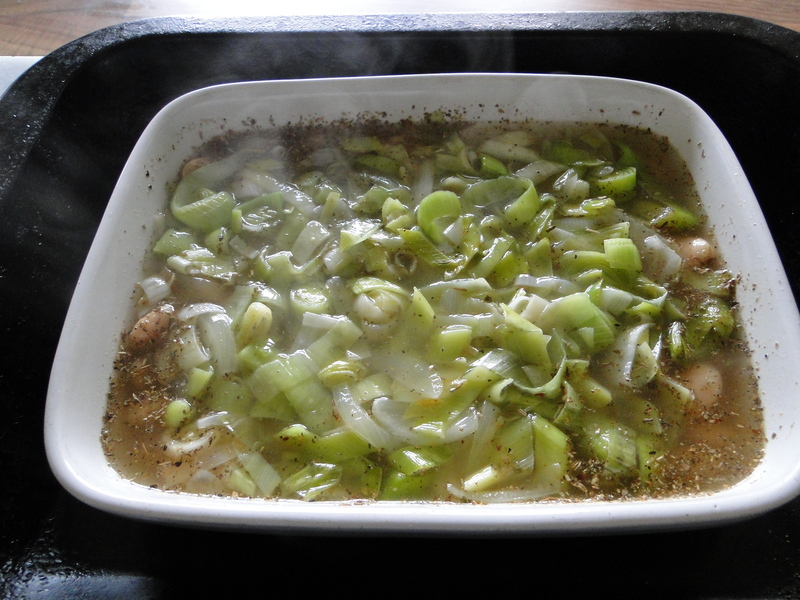 Place the sweated leeks into an ovenproof container like a lasagne dish. 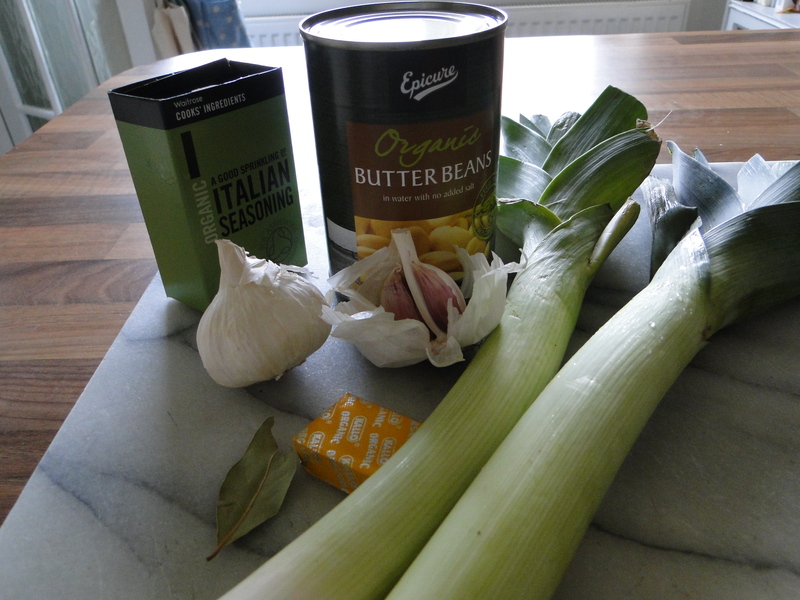 Empty the contents of the butter bean tin including the liquid into the dish with the leeks. Add 1 bay leaf, the 300ml of stock and some ground black pepper. Chop the base off the garlic cloves and remove the skins but keep them whole and place these in the dish as well. Place in preheated oven 200C or gas mark 6. It should take about 1 1/2 hours. You are aiming for a creamy texture with the liquid absorbed. You can aid the creaminess by slightly mashing the beans with a spoon towards the end of the cooking process. This goes really well with marinaded chicken breasts or sausages. I love it so much I might try it on some toasted sourdough bread. Posh baked beans on toast!!! I made this cake yesterday. Wellyman had an exam for his degree and he’d spent the last couple of months revising so I thought I’d make him a ‘no more revision cake’. The recipe is from Hugh Fearnley-Whittingstall’s River Cottage Everyday Cookbook but he has a pear version that is available at the Channel Four website. The recipe is exactly the same just substitute apples for the pears if you want, it’s important to use a dessert variety of apple that maintains it’s shape when cooked such as Cox or Ribston Pippin. I also used less sugar, 100g rather than 125g. I find a lot of cake recipes are too sweet for my own taste. I also added a few drops of almond extract when I added the eggs to the mixture and scattered some flaked almonds on top about 40 minutes into the bake so they don’t get too brown. I served it with some creme fraiche and thought it was a lovely light cake. Wellyman liked it too, although he does think cheese and jam is a good sandwich combination! !